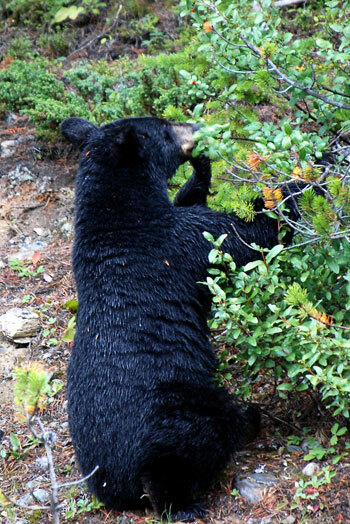 Join the Branford Land Trust for the first in our 2015 Winter/Spring Lecture Series, as Felicia Ortner, a Connecticut Master Wildlife Conservationist and bear enthusiast, provides education about bears and helps dispel misunderstandings in THE BEAR REALITY, on Wednesday, January 28, 7:00 p.m. at the Blackstone Memorial Library. Ortner, who has been involved in bear research in Connecticut for 25 years, will describe the resurgence of this remarkable survivor that once was extinct in the state, and is now rapidly increasing, numbering in the hundreds. In the mid 1990s, Ortner turned her passion for learning about bears into a passion for teaching about them. Since 2008, she has presented bear education programs on behalf of the CTDEEP’s Master Wildlife Conservation program, and has logged over 310 outreach education hours, connecting with over 5,800 people in more than 190 programs in Connecticut, New York, Massachusetts, New Hampshire, and Vermont. All Branford Land Trust lectures are free and open to the public. Upcoming 2015 lectures include “Creating Seasonal Habitat for Songbirds using Native Plants” with Peter Picone on February 25; “Fight the Bite: Ticks and Lyme Disease” with Kirby Stafford III on March 24; and “Sea-level Rise: Implications for Our Coastal Wetlands” with Shimon Anisfeld on April 22.